BDS-GLOW 3000/6000 Glow Discharge Generators : Manitou Systems Inc. The BDS-Glow AFP is a high voltage DC generator with AFP (Active Front Panel) touch screen designed for glow discharge processes. Used to power R/D and industrial plasma processes, it exhibits high power conversion efficiency (90%) as well as an extremely stable operation. 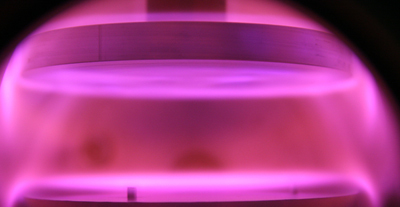 Typical applications include plasma cleaning or etching of a substrate prior to a thin film coating. An optional process gas feedback enables control of up to two mass flow controllers (MFC). Using this option, the selected glow discharge process will be stabilized using a variable gas flow to regulate the generator’s output set-point. Output cables: weight per cable assembly is x lbs. Shipping weight: 66 lbs. (30kg) The total shipping weight is based on the model and included accessories. Shipping methods: This product may be shipped from the factory (as an individual crate).